Police charge man with injuring officer after driving away in a stolen care during a traffic stop. Police arrested a 37-year-old Delaware man Sunday morning on charges that he used a stolen car and dragged a Wellesley police officer during a motor vehicle stop Saturday night. The suspect, identified as Theodore Newton, has a lengthy criminal history that spans the East Coast, police said. State police arrested him during another traffic stop Sunday morning in Sturbridge. Newton faces multiple charges, including injuring a police officer with the car and resisting arrest. In total, the suspect was involved in three separate motor vehicle stops, including one in between in Boston, within a six-hour span, according to police. Wellesley police say the officer stopped the suspect's car around 7:09 p.m. Saturday on Worcester Street at Route 128. The silver 2017 Nissan Altima reportedly had tinted license plates. While performing a records check, the officer discovered the car was stolen out of Delaware. When the officer attempted to take the suspect into custody, a struggle ensued. The officer, who has been with the department about two years, was taken to Beth Israel Deaconess Medical Center in Boston for treatment of serious, but non-life-threatening injuries, police said. 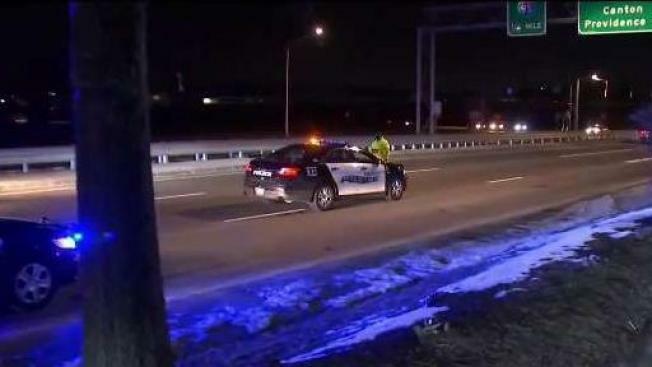 Wellesley detectives identified the suspect as Newton and also learned that he had been the passenger in a 2019 Kia Optima that was stopped by Boston police that evening, according to a police statement. Around 1 a.m., a Massachusetts State Police trooper pulled over the Kia Optima on Route 84 in Sturbridge. As the trooper was talking to the driver, a passenger in the rear of the vehicle asked why they were stopped. The trooper asked the passenger for for identification. The passenger said he had no photo ID but identified himself as Brendan Newton, police said. The trooper also observed a neck tattoo. 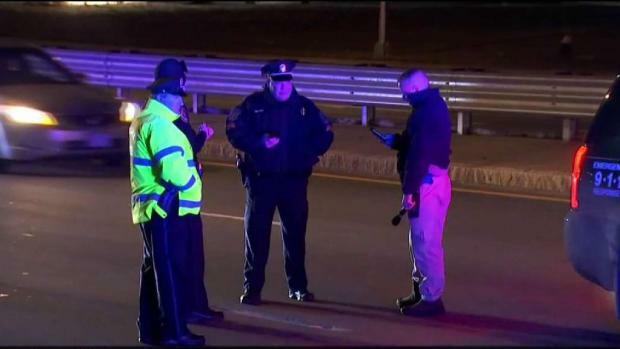 "The Trooper went to his cruiser and learned the Kia Optima was wanted in connection to the Wellesley incident Saturday night. A dispatcher reported the suspect had a neck tattoo and was provided with an photo of Newton. The trooper then arrested the suspect. Newton is being charged with assault and battery on a police officer, assault and battery with a dangerous weapon, resisting arrest, failure to stop for a police officer while operating a vehicle, leaving the scene of a motor vehicle accident with personal injury, malicious destruction of property, driving with a suspended license, receiving a stolen vehicle, and other traffic charges. Newton is expected to appear in court on Monday. It's not immediately clear if he has a lawyer.